Telcos are becoming interested in the potential revenue streams related to virtual and augmented reality (VRAR), since it is not only a vehicle for 5G monetization, but can also bring growth opportunities in connectivity, content innovation and service platforms, says leading data and analytics company GlobalData. The rising demand for VRAR experiences will undoubtedly place formidable pressure on telecom networks however. While smartphone augmented reality (AR) apps such as Pokémon Go can be handled by the existing mobile broadband infrastructure, immersive experiences demand much more bandwidth capacity. 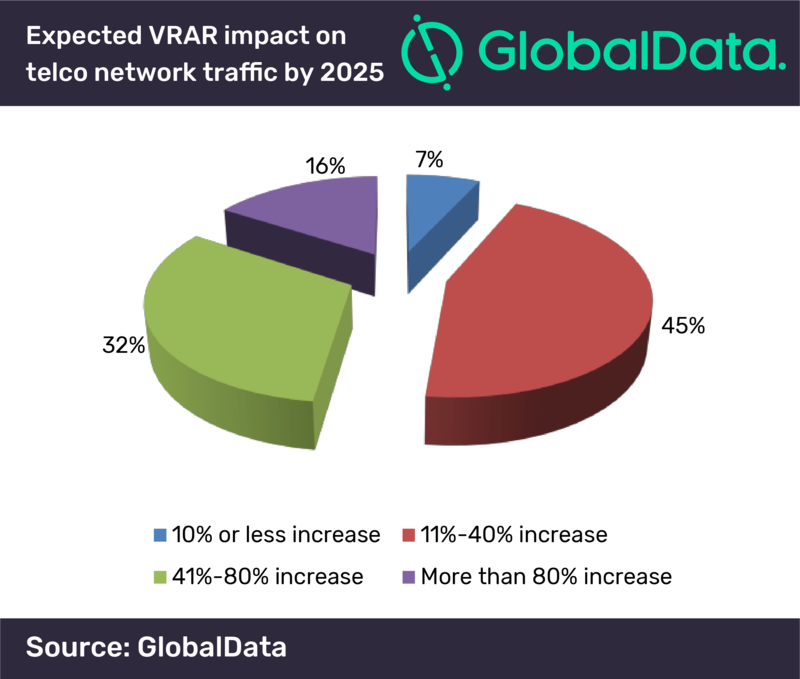 Interviews with industry players showed a wide range of expectations on VRAR’s impact on telco network traffic, with nearly half expecting a traffic increase by more than 40% by 2025. This is driving telcos to brace for the impact with aggressive network upgrades and 5G rollout initiatives.